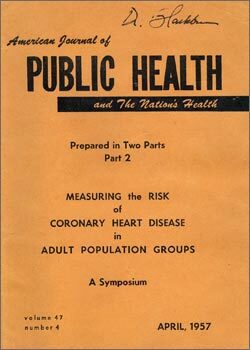 Lifestyle and biological causes of CVD were firmly established by findings in epidemiology, the laboratory, and the clinic. Risk modification strategies were tested in experimental groups and in communities. Prevention research explored new and contributory factors of CVD risk, including gene-behavior interactions, social mores and health behavior, affecting both cardiovascular and other major causes of premature death. The promise of prevention stimulated new policies and research strategies. The American Heart Association, the World Health Organization, and the National Institutes of Health advanced support for epidemiologic studies, developing specialized branches to focus on CVD causes and prevention. Funds were allocated under new line items in budgets for long-term observational studies and for a series of clinical trials to reduce risk factors, first among those at highest risk, then among whole communities.